The Canada Warbler inhabits shady forest undergrowth year round, making this species vulnerable to forest loss. It spends the majority of the nonbreeding season in northern Andean forests, which are among the most threatened in the world, having experienced a 90% loss due to agricultural expansion (cattle, coffee, coca) and fuel wood production. On the breeding grounds, dense deer (Odocoileus virginianus) populations have resulted in over-browsing of the shrubby layer that Canada Warblers prefer. Additional potential threats include habitat fragmentation from energy development and habitat desiccation from land draining and climate change. 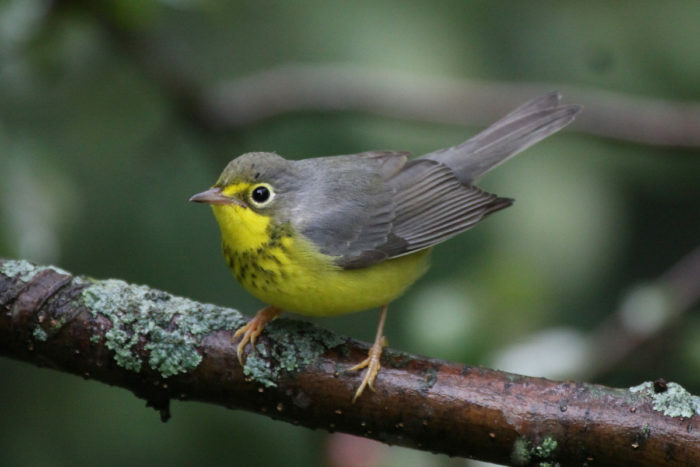 Full life cycle Conservation Action Plans have recently been developed for the Canada Warbler for both the breeding and nonbreeding seasons. 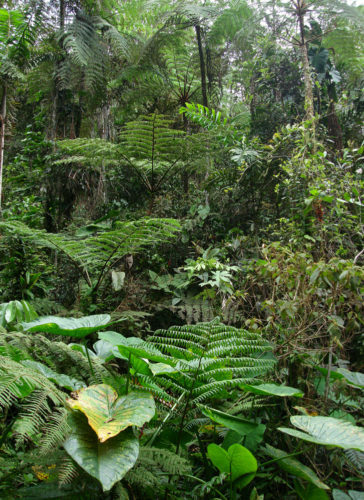 Overall, habitat loss in the Andes appears to be the most critical threat, however shade grown, bird friendly coffee may be a a major part of the solution. 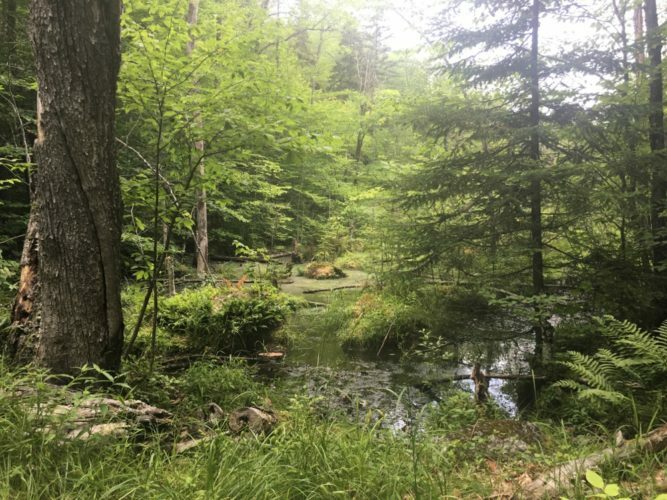 Information gaps remain, especially understanding the nuances of habitat selection on the breeding and nonbreeding grounds, as well as understanding why eastern populations are declining at a faster rate than others. 85% breeds in Canada, 15% in U.S.
Recovery Strategy for Canada Warbler (Cardellina canadensis) in Canada, Environment Canada. 2016. Machtans et al. 2013. A first estimate for Canada of the number of birds killed by colliding with building windows. Zlonis and Niemi. 2014. Avian communities of managed and wilderness hemiboreal forests.